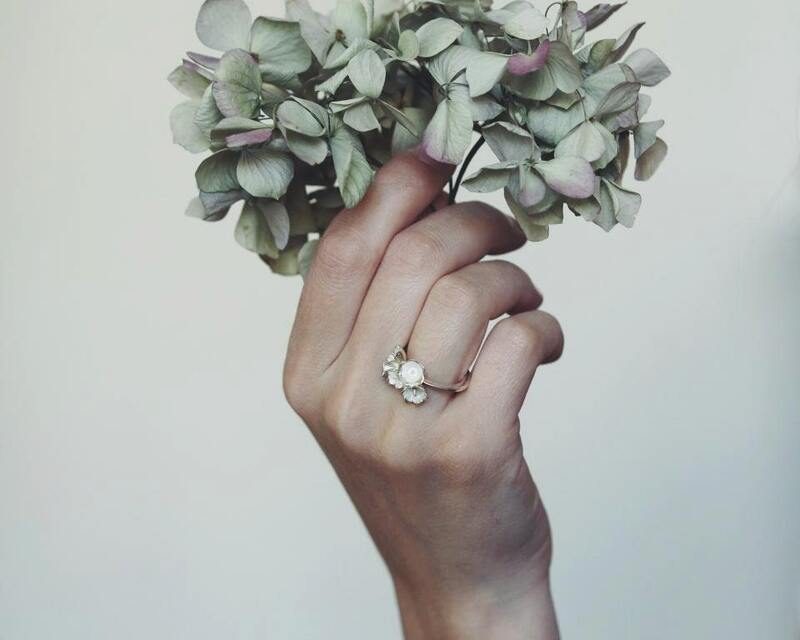 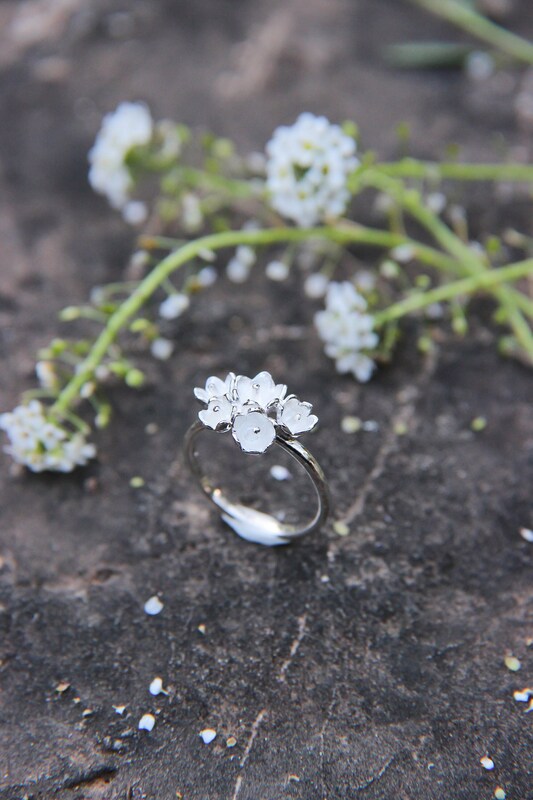 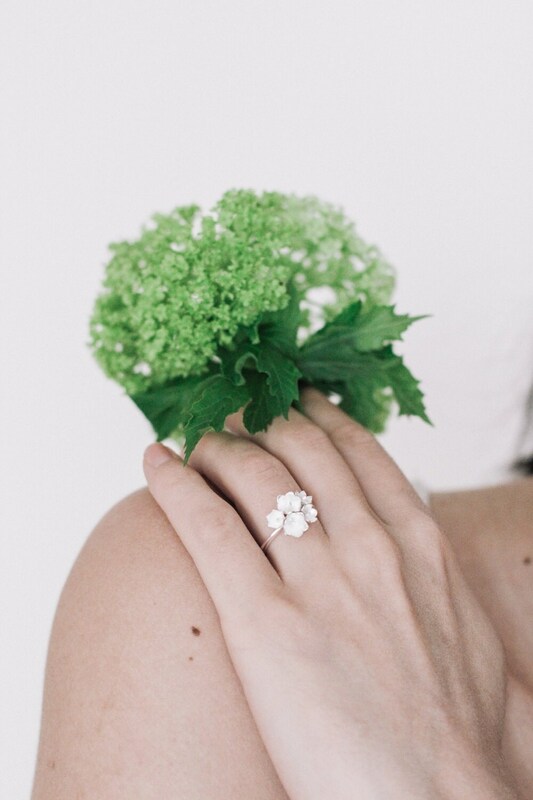 This delightful sterling silver ring features bouquet design with tiny lily of the valley flowers. 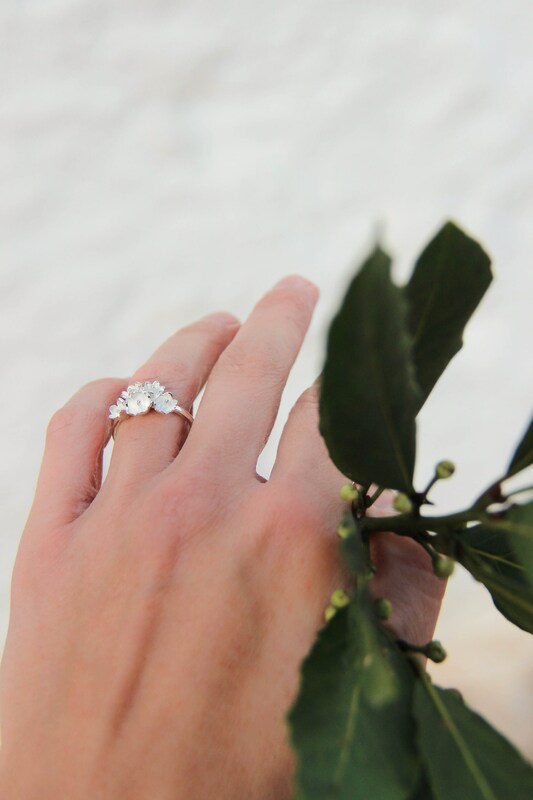 Romantic engagement ring or everyday ring as well is 100% handmade using traditional techniques. 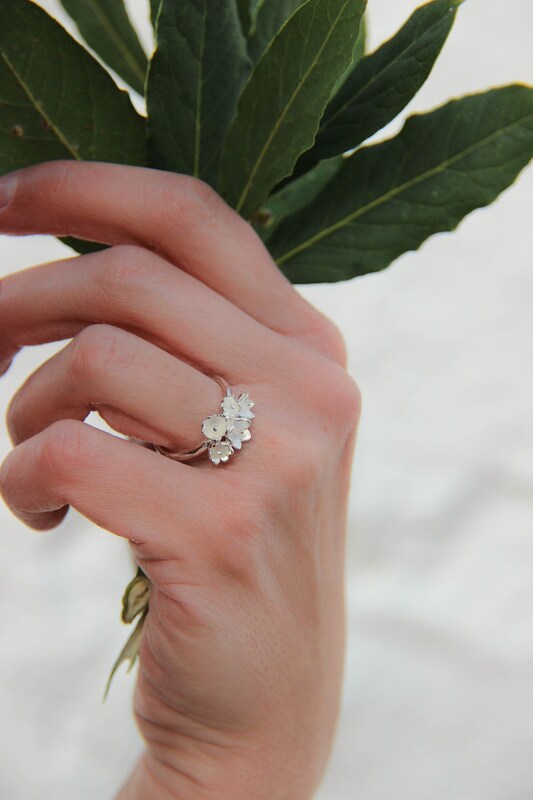 Each lovely flower is made from sterling silver and then gathered in small white bouquet. 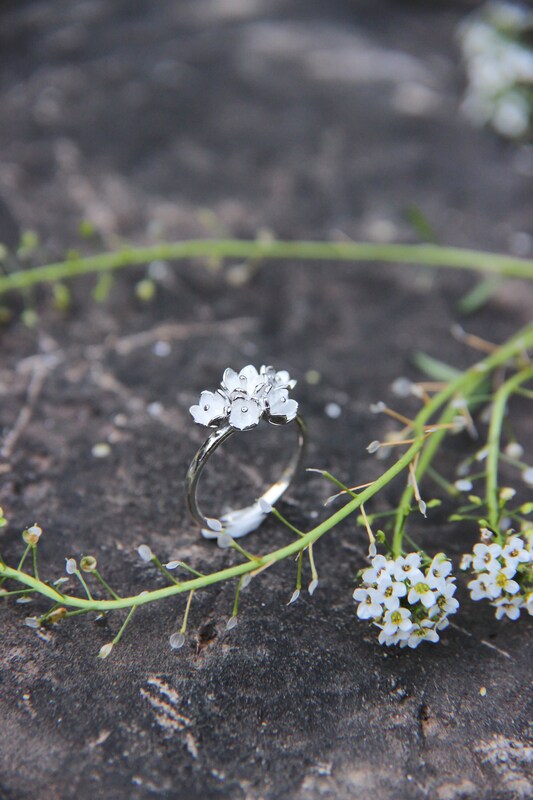 It could be a perfect promise or proposal ring. 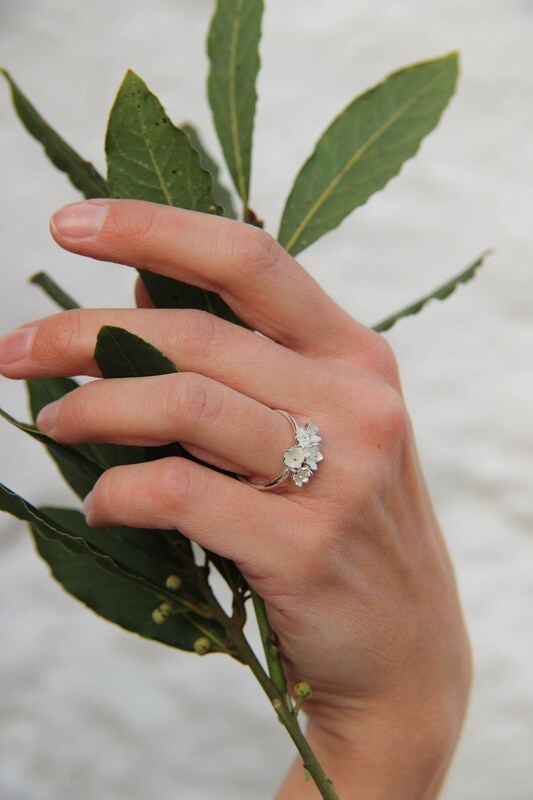 Or just a lovely gift for her! 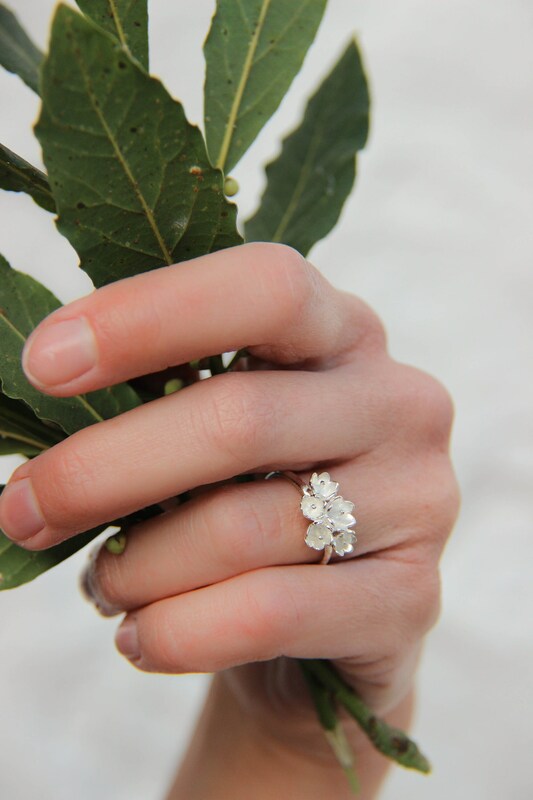 Due to handmade work each ring could be slightly different, but it will always be a lovely and quality piece of fine jewelry.